Tuesday night is Music Night at Alpine Community Center. Everyone is welcome. Drop by after 7:00pm. 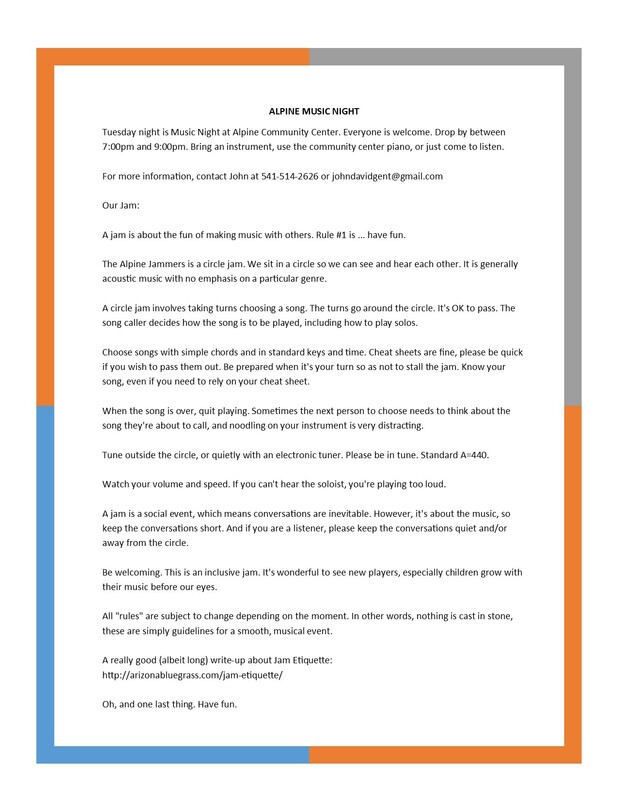 Bring an instrument, use the community center piano, or just join in with your voice.